Treatments are 30, 45, 60 or 90 minutes long. The first treatment includes a free 15 minute consultation, so please allow extra time for this. You can book online via my booking page (add link) on Tuesdays and Fridays. 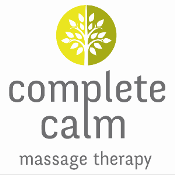 Please give me a call on 07931999477 or email fiona@completecalm.co.uk to book on Mondays, Wednesdays or Thursdays. What do I do if I need to cancel or amend my appointment? Cancellations or changes within 24 hours may result in cancellation fees. Please head up to the first floor waiting room and I’ll be out to meet you shortly. We’ll go through a consultation form together so I can learn about you in order to tailor the treatment to you. This takes about 15 minutes. How much is it and how can I pay? Please add £5 to any of the above prices for hot stone massage. Cash or card payments are both accepted. There is metered parking on the nearby streets or the Jubilee multi-story is a short walk away.